Gfresh is China's largest online seafood marketplace. Hundreds of top seafood exporters use Gfresh to sell direct to Chinese buyers. Gfresh is free to use for seafood merchants. Gfresh's online marketplace is used by over 10,000 wholesale buyers to source seafood globally. Over US$2 million of seafood is traded each day. Whether you're looking to sell to the largest importer or the smallest restaurant, Gfresh's makes it fast, simple, and safe. Sell on China's largest seafood marketplace. Gfresh is backed by internet giants, Legend Capital and Alibaba Riverhill. Your goods are delivered fresh through our dedicated customs clearance, cold chain logistics, and quality inspection services. All transactions are guaranteed by Gfresh's global escrow system as well as third party insurance providers. View our guides and frequently asked questions. 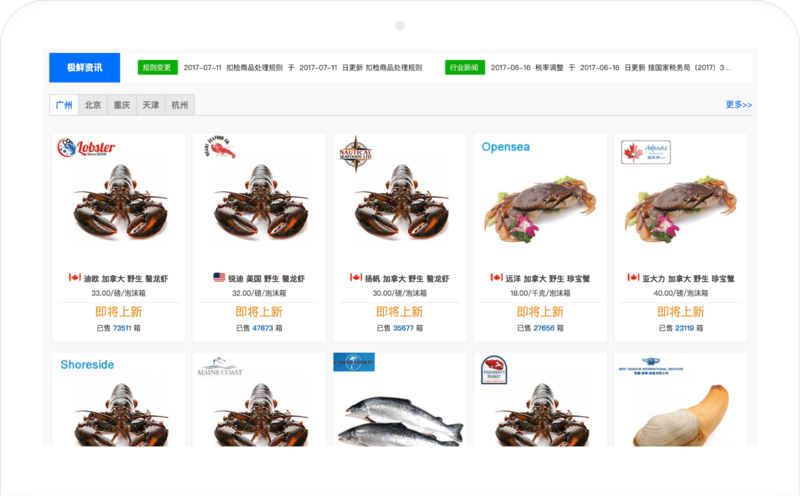 Join over 500 seafood merchants from 29 countries who are using Gfresh to grow their seafood sales in China. It’s free and easy to start selling.